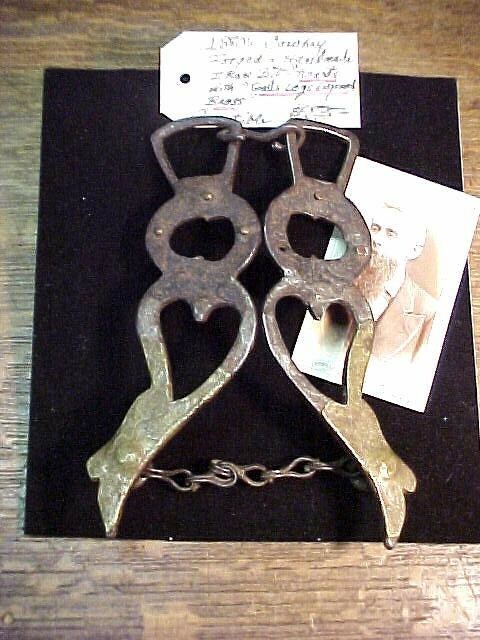 Here is a 1870s "right as rain" cowboy homemade Bit, hand forged iron with overlaid brass/cut out hearts in the iron and the brass is nicely engraved inlaid on a shaped known as the famed "gals legs". Shows the creativity of the genuine old west period cowboys. 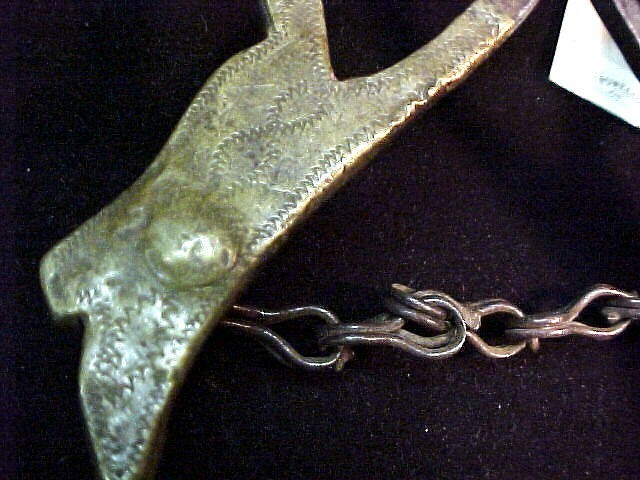 A one of a kind historical piece. 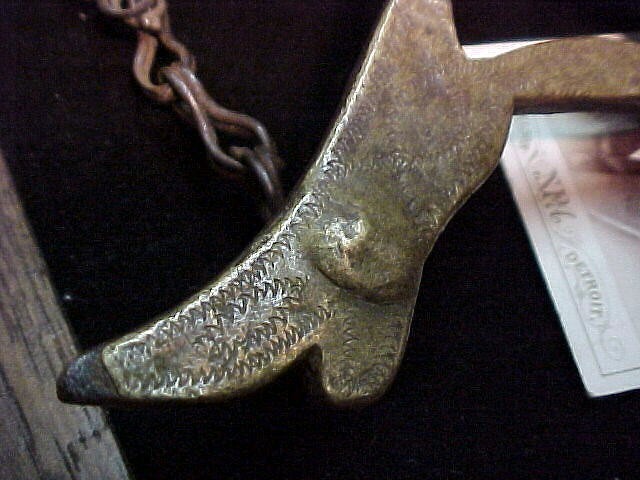 Here is a 1870s "right as rain" cowboy homemade Bit, hand forged iron with overlaid brass/cut out hearts in the iron and the brass is nicely engraved inlaid on a shaped known as the famed "gals legs". Shows the creativity of the genuine old west period cowboys. This is an one of a kind historical piece. Please email cowboyron@cowboycabin.com with questions or call 406 270-2842.